Promotional pens offer a unique opportunity to get your company's name out to your target market. These products can build brand awareness, boost sales and be a way to say thank you to your customers. While many advertising campaigns focus on a specific product or service you are trying to sell, promotional items focus more about building your entire brand and exposing your business. Personalized promotional pens can be the silent salesperson that promotes your products or services. ACF offers a variety of promotional pens to choose from to help with your campaign. Just give us your logo, and we can do the rest. We can place your logo on any one of our promotional pens, instantly making then an advertising tool. Do you need a logo designed? ACF can help with that too. Our expert designers can give you a company brand that reflects your business. 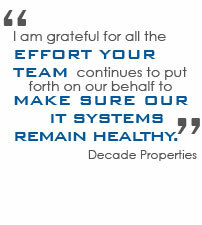 Our years of experience and personal customer service make us a leading design firm in the Tampa Bay area. We can then take your logo and place it on a wide variety of marketing and promotional materials. We've helped businesses both large and small help build their brand awareness through our custom logo designs, personalized promotional pens and various other marketing materials. Let ACF Consulting be the one stop source for all of your marketing needs. To view samples of marketing materials we have designed, visit our samples page.